Posted by Doriano "Paisano" Carta in Email, Microsoft, rss, Social Media, social networks. Believe it or not, Microsoft can actually help you create the ultimate social media tool! If you use Microsoft Outlook 2007 as your email client then you have the basic foundation for creating a powerful social networking monster. Here’s how I use my most important communication tool on a daily basis. Most organizations have Microsoft Windows networks with Exchange server which means most of corporate America is using Microsoft Outlook as their email client. At the heart of Outlook is the inbox, which is where you get all of your company related emails. It also manages everyone’s calendar and appoinments as well as tasks and notes. Not too shabby right out of the box. However, with a few simple and free plugins and add-ons you can supercharge Outlook into an even more powerful web 2.0 communication tool with built-in social networking! Here are just some of the best services you can snap into Outlook. Here’s view of my data center, Microsoft Outlook. Click image to enlarge. 1. Business Email: The inbox is grand central station for Outlook, the heart of your mailbox. All of my corporate emails go here. 2. Personal Email: Outlook allows you to add many other email accounts to your client so you can access your personal email accounts from services like Bellsouth, Earthlink and even web based services like GMail. Here’s an excellent tutorial on how to add gmail to outlook. 3. xobni: If you want extended information about the people that send you emails than checkout Xobni which has been covered on here before. Xobnix snaps inside Outlook and displays many new details about the senders and all of the emails that you’ve exchanged with them. They now connect directly to their LinkedIn account if they own one which opens a whole new world of possibilities. 5. Plaxo with Pulse: The address book is very important and Outlook does a great book with managing our contacts. Adding Plaxo with pulse and its excellent Outlook toolbar turns your Outlook into a dynamic social network. In essence, it’s like having FriendFeed in your email client. Also, Plaxo will sync all of your contacts online with your local address book. The most powerful feature is the way Plaxo can manage all of your contacts from many different email systems such as gmail, yahoo mail, and more. 6. RSS feeds: Outlook can become an excellent way to keep up with all of your RSS feeds! While I still love Google Reader, I find myself using Outlook’s excellent RSS reader more and more because I am always in my email. I get notified of new blog posts instantly as they appear in my Outlook just like new emails. I’m hoping they will add the sharing capabilities that other readers have but other than that, Outlook RSS reader is a great time saver! Here’s how to add RSS feeds to your Outlook. 7. TimeBridge: One of the best features of Outlook is the ability to check everyone’s calendar for meeting availability times. The problem with that excellent feature is that it only worked inside the firewall within an organization’s private network. Well, that is no longer the case thanks to services like TimeBridge which understands how valuable this feature is to everyone. It also snaps into Outlook and allows you to share your calendar and availability to people outside of your firewall and local network! This is a powerful way to schedule appointments that will save enormous amounts of time and frustration. Here’s an excellent DemoGirl screencast. Outlook is like the Swiss Army Knife of communications. Sure, it’s a master when it comes to managing your emails, tasks, contacts and calendar appointments, but as you have seen it can do far more than you ever imagined. The possibilities are endless as increasing numbers of new services are developed to work with Microsoft Outlook. Choosing the right tools can help you turn Outlook into an even more powerful communication tool. Posted by Doriano "Paisano" Carta in Social Media. Chris Brogan’s secret is exposed! How does he churn out such quality stuff every day? Well, he starts his morning with a big ole bowl of TWEETIES! The breakfast of social media champions! Happy birthday to Chris Brogan! Not only a great blogger, but a great guy and great friend. Posted by Doriano "Paisano" Carta in Collaboration, Web 2.0. MindMeister has received the most attention and deservedly so thanks to its slick interface and ease of use. 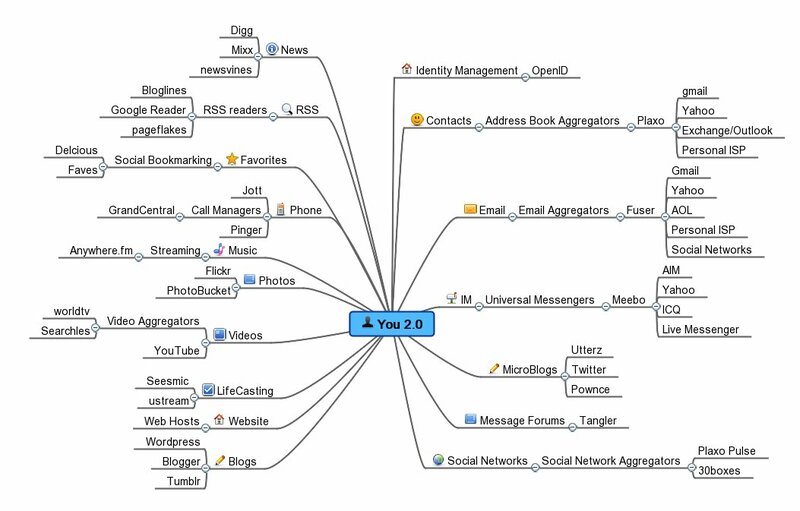 The ability to embed the mindmap on your website/blog is very useful. The free basic service allows up to six mindmaps with the premium and team plans allowing unlimited maps. Here is a comparison of each service. Here’s an excellent screencast from DemoGirl. Mind42 also allows collaborate mind mapping without anything to download or install. Everyone logged into the map editor will see changes in real-time too. bubble.us offers less features and doesn’t look as nice as the others in this space, but there doesn’t appear to be any limits to the number of maps you can create and share online for free either. So, if you aren’t all that into bells and whistles and a glitzy appearance, then bubble.us might be the one for you, especially for quick and dirty mind dump sessions. You can’t go wrong with any of these services. Mindmeister is the market leader though. Posted by Doriano "Paisano" Carta in Social Aggregators, Social Media, social networks, Web 2.0. It can be overwhelming when you consider the magnitude of your digital life today. In the past, you just needed to know your name, social security number and perhaps some other basic information such as your phone numbers and home address. Today, thanks to the amazing Internet and all that it has to offer us, we have an ever-growing mountain of “stuff” to remember or manage. Here’s my You 2.0 map from MindMesiter that will give you an overview of what I plan to cover. I will continually change and update this map as it is, just like us, a perpetual work in progress. I’m continually learning and growing so look for this information to do likewise. The goal is to provide a detailed breakdown of each module on the map, eventually. Please feel free to contribute to the project by sending links and suggestions whenever you think you might have a better way to do thing. After all, this is called YOU 2.0. Identity Management: Identity Crisis covers ways to take control of your online profiles and personal brand. Using OpenID is the key to the fine art of Less is More. Contact Management: How do you manage your ever growing list of contacts? Identity Crisis also covered this ground with Plaxo and its powerful contact management and sync features. Favorites: I Got Your Favorites Right Here covers the best social bookmarking sites around today. Instant Messaging: Meebo: IM Legend covers the ways Meebo can reduce the headaches of multiple messenger accounts with a single login. 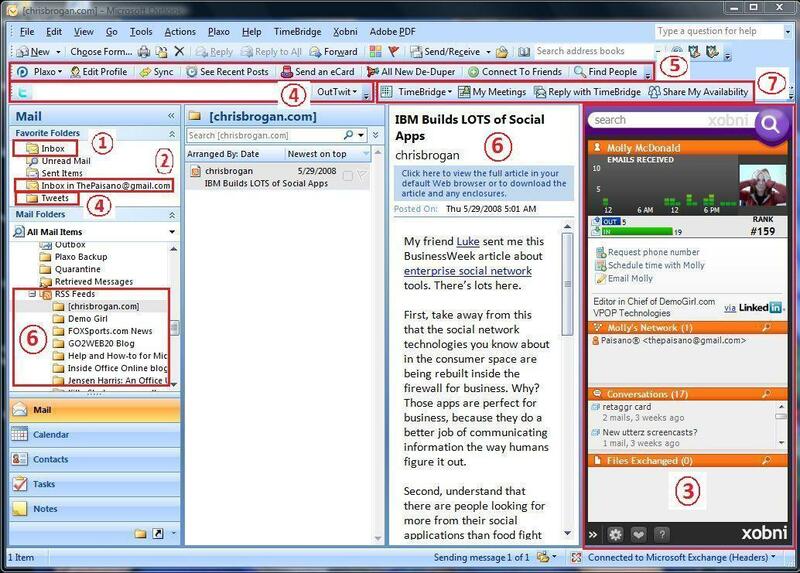 Email Management: Inbox 2.0 covered the future of email aggregation by spotlighting fuser.com and its ability to consolidate numerous email accounts and social networking messages into one one. RSS: Feed Me, Seymour revealed a unique way to make Google Reader grab all of your own personal RSS feeds and share them. News: Is it better to Digg your news or Mixx it up? This will examine the future of news delivery. Blogs: Finding ways to improve managing your blog(s). Websites: Streamlining your website. Registering your Personal Brand with a domain name. MicroBlogs: What are the differences between all of the micro-blogging services? Twitter, Pownce, Jaiku, Tumblr, Utterz, etc. Social Networks: Social Networking Aggregation is the key to controlling this runaway train of digital information. Identity Crisis covers Plaxo with Pulse and some other aggregators. Music: Virtual DJ shows the best ways to stream your music library and access it from anywhere in the world. Photos: Is Flickr still king or can PhotoBucket or some other challenger dethrone them? Videos: YouTV examines some of the best ways to manage your video collection and broadcast it from one place. LifeCasting: What’s the right tool for you? 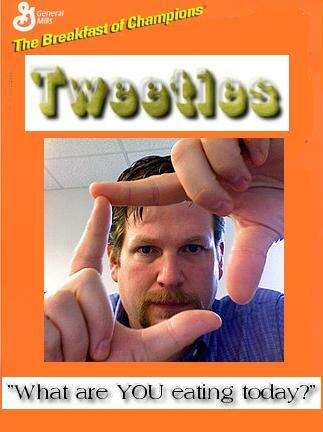 Seesmic, Utterz, Ustream, Qik? Phone: The future of the phone is extremely exciting as I will look at services like GrandCentral, YouMail, Pinger, Jott and more. Message Forums: Forums + Web 2.0 = Tangler covers the new age message forum. It isn’t your father’s message board anymore. Summation: The Quality vs Quantity (less is more) Series will strive share the best aggregation tools and services available today in an effort to make your online life more managable and thus more enjoyable. Posted by Doriano "Paisano" Carta in Comedy, Comic Strips, IT Happens. Posted by Doriano "Paisano" Carta in Comedy, Comic Strips, IT Happens, Social Media.